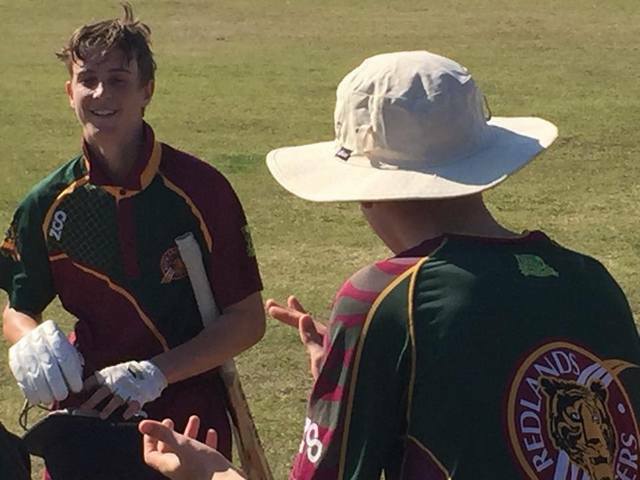 A strong showing from the Redlands Tigers Lord’s Taverners side has seen the club walk away with one win from the three limited-overs fixtures played across the weekend. Redlands travelled to Ipswich for their first game of the season and successfully managed to chase down the opposition’s total in the 28th over. The Tigers bowlers toiled hard after losing the toss and being sent into field first on a tacky wicket, but soon found their way through Ipswich’s top order thanks to some tight change bowling. Jack Sinfield claimed two quick wickets as his spell neared its close and this triggered the start of a middle order collapse led by Zac Maguire and Josh Smith, whose combined five wickets helped dismiss the home side for 146. The Tigers then took to the batting crease and wasted no time in chasing down the runs required for victory despite the intermittent loss of wickets. Jack Sinfield, who had earlier done the damage with the ball, held the innings together to score a chanceless 96 from 91 deliveries. The young left-hander punished everything the Ipswich bowlers dished up and was only dismissed with three runs required for victory as he looked to send another to the boundary to bring up his century. The Tigers return home next Sunday and will look to build on a hard earned victory as they take on South Brisbane. First Grade were unable to secure their first victory of the season on a wet Saturday afternoon, going down to Western Suburbs on home soil. A second half-century for opener Sam Heazlett got the Tigers innings off to a good start after they were sent into bat, but the middle order were unable to provide any support in trying conditions. Only Jason Grosvenor (30) and Josh Lalor (33*) got going as the Tigers were held to 8/233 from their 50 overs. The Tigers bowlers made the visitors fight for every run in response, but Western Suburbs surpassed their total with 7 overs to spare. James Bazley was the chief wicket-taker for Redlands with two scalps. It was a similar story in second grade, where a wet morning saw Western Suburbs send the travelling Tigers into bat. Josh Guy kicked the innings off with 24 up the top, but much like first grade, the middle order failed to make any headway. Some late order resistance from Craig Weier (28) and Lachlan Honan (36) ensured the Tigers had something to bowl at, as they were dismissed for 173 in the 40th over. But Western Suburbs tracked down the total just three wickets down, with Lachlan Honan and Joshua Arnold the only Tigers bowlers to make inroads.